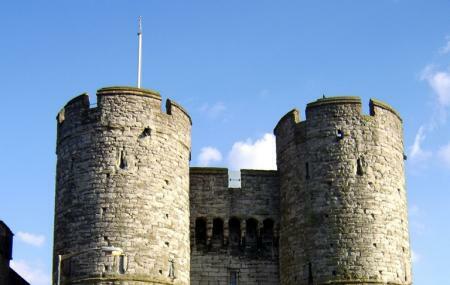 One of the iconic landmarks of Canterbury, the Westgate is a medieval gatehouse which stands at the west end of the High Street, beside the River Stour. A stark contrast to the surrounding buildings, the gatehouse has had generations of medieval pilgrims pass through it on their way to the shrine of Thomas a Becket at Canterbury Cathedral. The upper floor of the gatehouse has been converted into a small West Gate Museum. On display are armour and weapons. West Gate Museum: 11:00 am. to 04:00 pm. Bus stops near Westgate towers. How popular is Westgate, Canterbury? People normally club together Marlowe Theatre and The Black Griffin while planning their visit to Westgate, Canterbury. This is a nice intro to Canterbury. It's only 2 pound in and the guide is incredibly helpful. Be sure to tip him and he'll tell you the different ways to avoid paying the 12 quid into Canterbury Cathedral. Note the entrance to the tower is through the pub next door. Brilliant. Well worth the entrance fee. Friendly knowledgeable staff . Grand kids approval rating 'awesome "
Great historical place with interesting artefacts along with fantastic views of Canterbury city and helpful staff. A dramatic marker of the amazing historic area beyond it.